The gear I used is placed at the end of this article. Do you want to learn more about how I made this film? 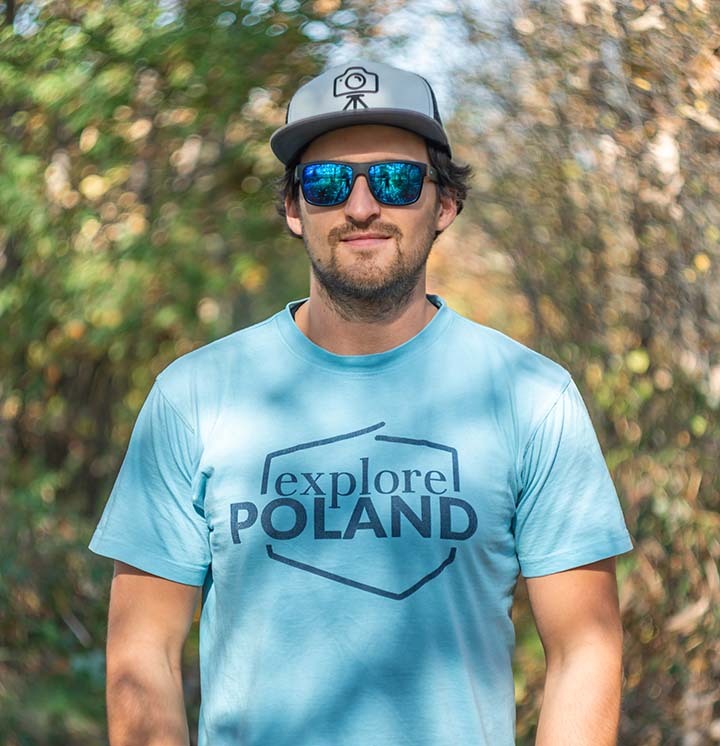 Check out Panta Rhei Wrocław Director’s Commentary on my e-learning platform! Simply – that’s my favourite city in Poland. Of course there are more really beautiful cities in my country, including my hometown Bielsko-Biała. But both me and my wife are fascinated by Wrocław (also we’ve got engaged there ;)). 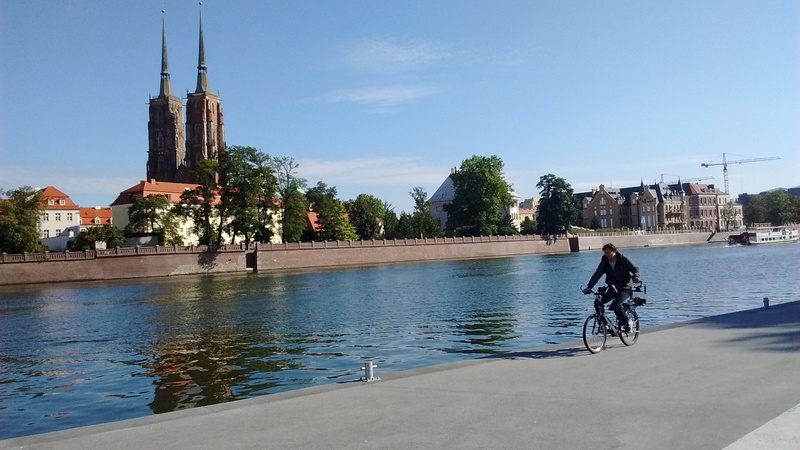 That’s 4th biggest Polish city with the second biggest river – Odra. There are lots of atraction and I hope my video encouraged you to visit it 😉 Also, this year Wrocław is a European Capital of Culture (the city chosen by European Union is ECC for one year). Bielsko-Biała in motion from TL video on Vimeo. I think that’s one of the most underestimated stage by the less-experienced timelapsers. My serious planning starts at the begining of the 2016 and it was in development till the postproduction. 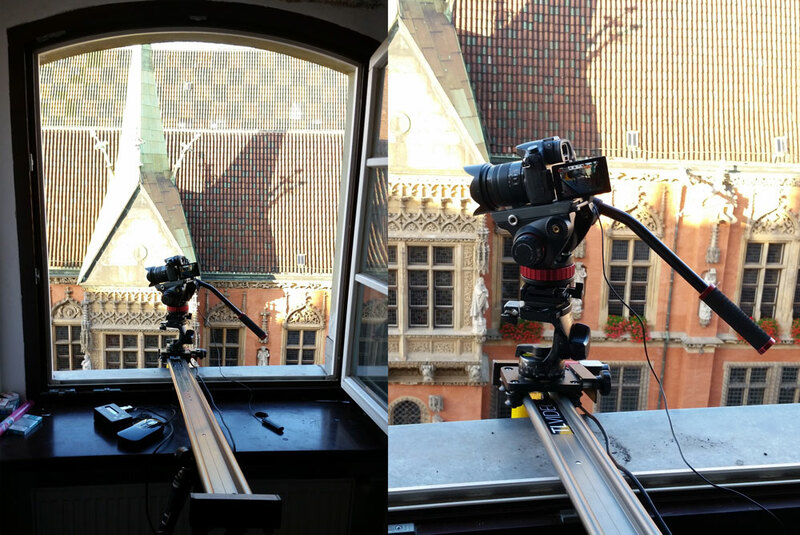 Of course this kind of project requires much more preparation than a classic timelapse with hard cuts. 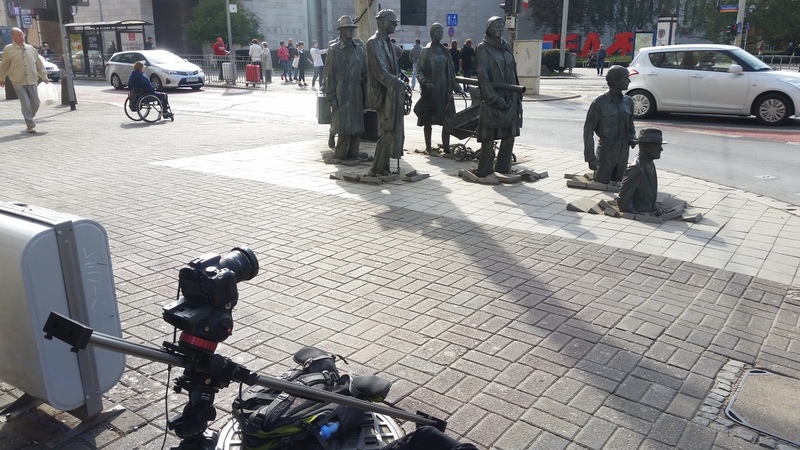 It was quite complicated for me, because I spent in Wrocław only a few days earlier and I couldn’t afford the longer trip to make a pre-production on location. I split the shooting for two trips. First one was three days in June and I did there a few shots, that I was sure I want to use in my film. Also that was a time to walk around the city and plan the rest of the shots. Of course that wasn’t enough time, so I spent a lot of time on Google maps exploring the capabilities. Also, I wrote several dozens of emails and did lots of calls to the managers of different places and attractions in Wrocław. My tip: don’t give up! Finally I wasn’t able to shoot every place I wanted to (and every time I want when we’re talking about sunrises ;)), but I was contacting the facility as soon as it came into my mind. If they say I can shoot there, I was refining that idea. This kind of film usualy doesn’t have a script. But you have to plan that somehow. I’m a really bad drawer, so I did only a couple storyboards for my film. I figured out that for me the best way is the chart method. The flow motion film is something, that every scene is somehow linked to the following one, so I wrote the scenes in the chronological order. I can’t explain every second of the film here (but BTS pictures would be helpful for understanding how I did some of the shots), so I write about one thing that appears many times in the video – the zoom shots. In most of them I used a couple of lenses. For the Skytower zoom shot (around 2:00) I have used 3 lenses, which I were constantly zooming-in between pictures. It was Sigma EF 10-20, Panasonic 14-140mm m4/3 mount and Sigma EF 120-400mm. Well, the math here might be complicated for some people. I used a speedbooster on GH4 so Sigma 10-20 w/ SB in photo mode has crop around x1,4, so it’s 14-28 equivalent, Panasonic 14-140 native lens on m43 crop x2 is 28-280 equivalent and Sigma 120-400 I used on 550D for more resolution (16MPx vs 18MPx) and bigger crop (x1,4 vs. x1,6) to achieve bigger zoom and it was 192-640mm equivalent. Result? Over 45 times zoom, equivalent of 14-640mm + post production zoom on the 18 MPx image. 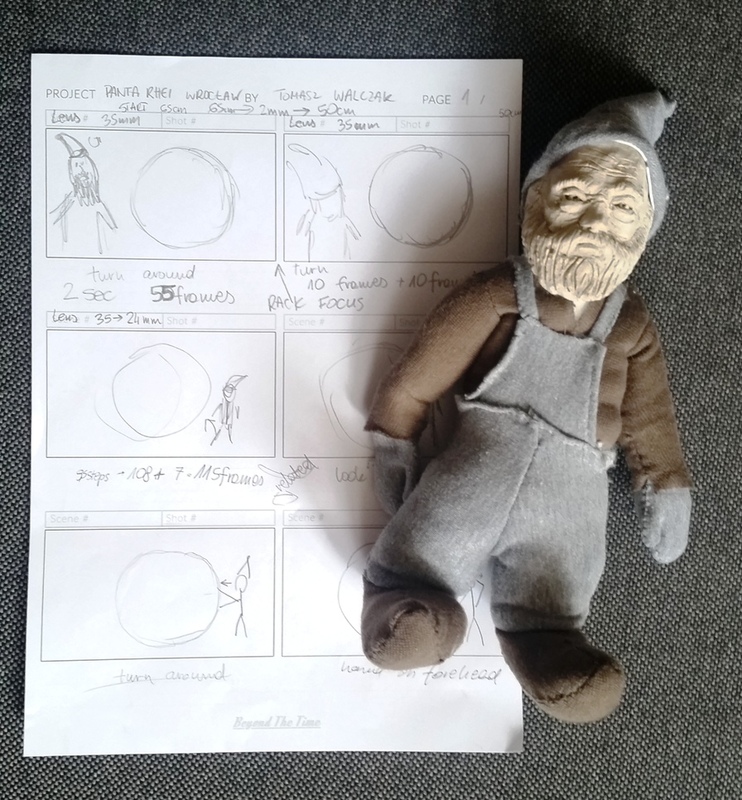 The stop motion section and the final shot were the things, that delayed the premiere of the film for few weeks. But, fortunately, I could film those two shots in my “studio” 😉 It was so long to prepare, because I was building everything from scratch. I want to thank here my friend from Drew-Art Michalec, who built the awesome dwarfs figures (definitely check out his work on flickr or our on our YT channel ). 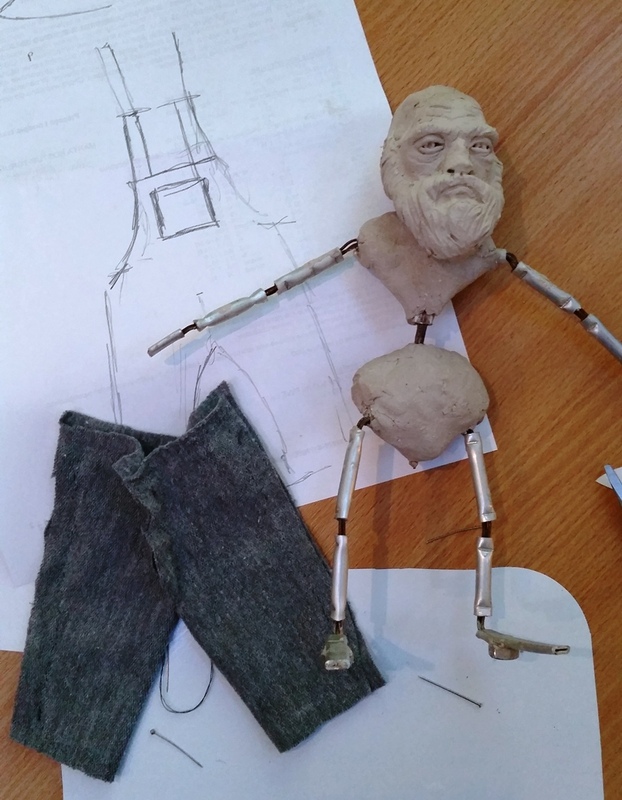 When I got the figures from Michał, I had to make some clothes for them. Together with my wife we designed and sew their tiny, funny trousers, shoes etc. For this shot I’ve got to make a 50cm/20″ ball. 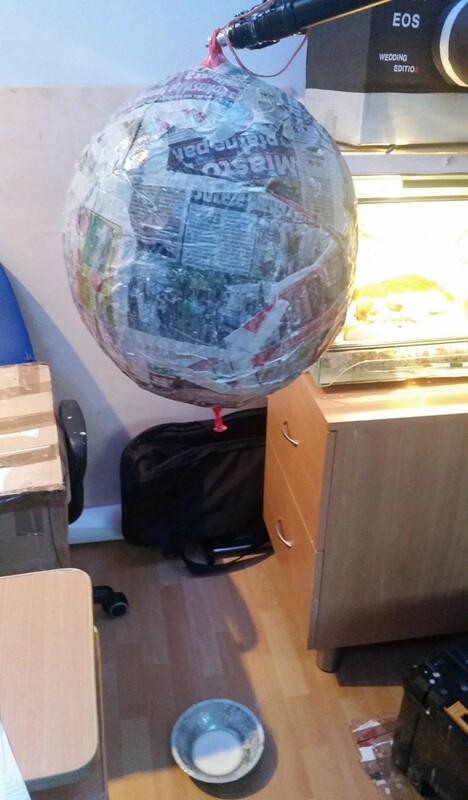 I decided to go with a baloon covered with paper mache. It was really cheap and effective. I also painted 1,2m x 60cm (4ft x 2ft) piece of playwood to match the real environment, where the dwarfs are in Wrocław. The credits shot scenography was something I built on my own. And it took some time. 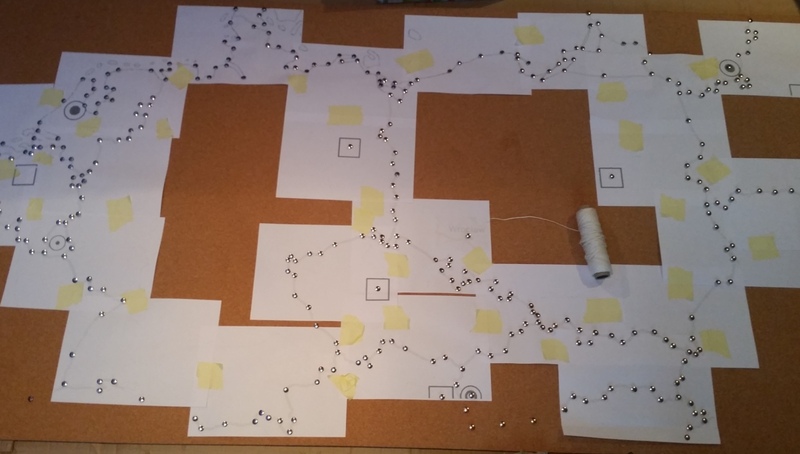 I did quite accurate, 2m/6.5ft wide middle-Europe map on a pin board to place there some postcards with credits on it. Even the little flags were hand-made. The second part of this shot – the wooden title was cut by me with a jigsaw. “Panta rhei” is nice, handwritten font. Wrocław is placed in two rows, each row with different part of the letter. Placing the camera in exact place with exact focal length shows us the whole title. As in the whole film, the camera is flying around, but ends up exactly in a place it should be. Here, finally, the camera stops. Basically this shot was done with a gimbal, but it starts and ends on a slider. While I was operating the gimbal, my brave wife had to lower the front row of the title, which was hanging on a boom tripod. 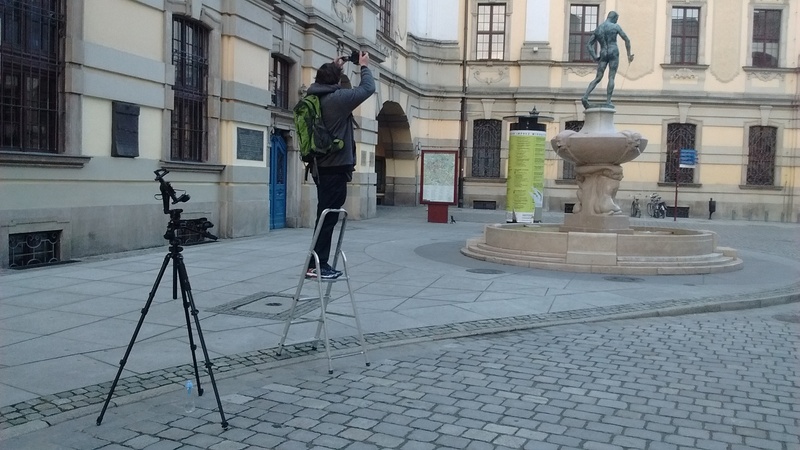 Then I had to point the gimbal at the correct spot to overlap the two rows of the Wrocław sign. On the gimbal I mounted my phone, where I had Panasonic image app. That let me pull focus, while operating the gimbal. It wasn’t very comfortable, but it’s better than using autofocus or not pulling focus at all. It probably would be better to use Aputure DEC Lens regain, which has wireless focus control, but for now I don’t own that equipement and in my city there isn’t any rental. That kind of film is really time consuming also during post-production. I won’t talk here about RAW lightroom workflow, because it’s topic for a different article. But of course, every still image in the film was shoot RAW. For this kind of project I’m glad I’m using 4k camera for video, because I can stabilize the footage in post without that much quality loss delivering final video in 1080. Look at the penguin shot above. It was shot on a telephoto lens, I was following that penguin using a tripod. It’s really difficult to precisely follow something on longer focal lenghts, so it was obvious it should be stabilized in post to get the image I was going for. It was simple one point stabilization inside After effects. Making the absolutely first cut of the film took me about 15 days. Then were some improvements and sound design. 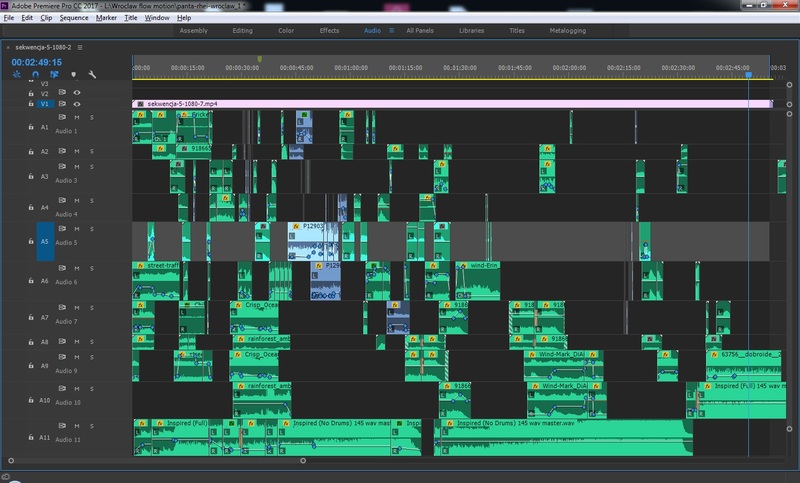 Sound design is the second thing that is underestimated by the newer filmmakers, but it’s really important. It’s good to reserve some time for that at the beginning, because that’s the easiest part to skip (by skip I mean putting just a random music from Audiojungle). I did sound design on my own (yes, I did it in Premiere, just because I know quite well that software). In this kind of project I like to do my edit first and when it’s done focus on sound (including the music – that’s not a music video, I’m not editing that for a specific song). I’m not a sound specialist, but again – I didn’t have budget for a professional sound design. I recorded some of the sound effects and some of them were found online. In this kind of film it’s nice if music interacts with the image. Check out for example how the background music sound at 0:21 when we’re going underwater or at 1:11 in the cableway. I think that’s the small things that sell the whole idea of flying thorough the city. After assembling everything I sent that for mastering to my friends from 3/4 Underground Studio, who are great specialist when it comes to sound. Panta Rhei is derived from Heraclitus, a Greek philoshopher and it means “everything flows”. 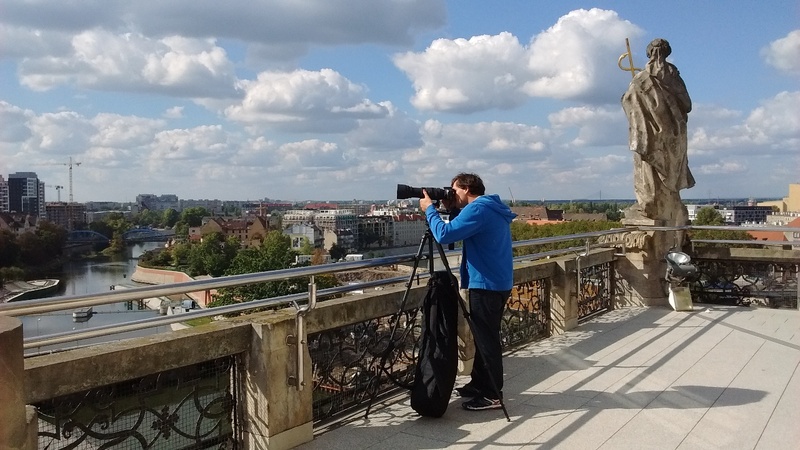 It refers to the technique of the film – the camera (and the viewer) flows around the city watching the most impresive parts of Wrocław, as in one big master shot. Basically, “Panta Rhei” could be explained with Heraclitus other words – “All entities move and nothing remains still”. Well, there isn’t any static shot in this film 😉 Of course, it also refers to the basic idea of photography – to catch the moment, because it could never repeat. 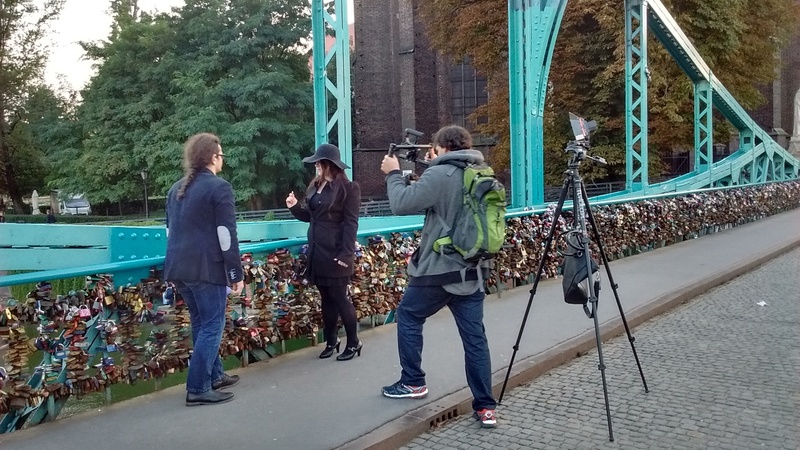 So this film is a collection of these moments captured in 2016, when Wrocław was the European Capital of Culture. Of course every video was shot on GH4. 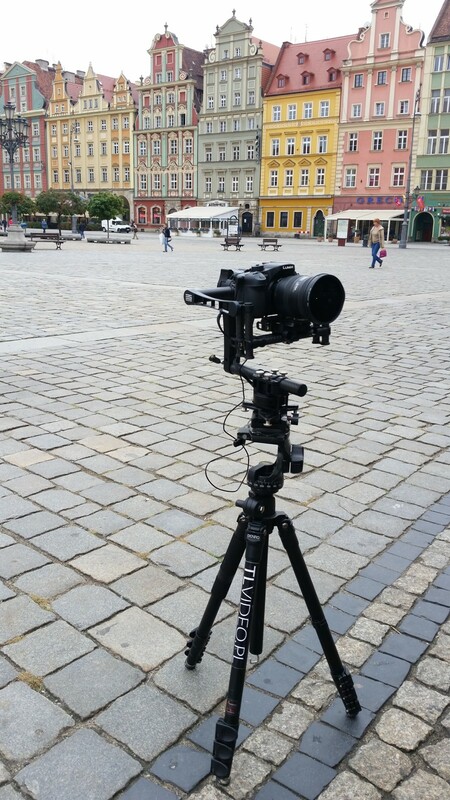 I didn’t use any motorized pan-tilt head, everything was done like a hyperlapse – manually. 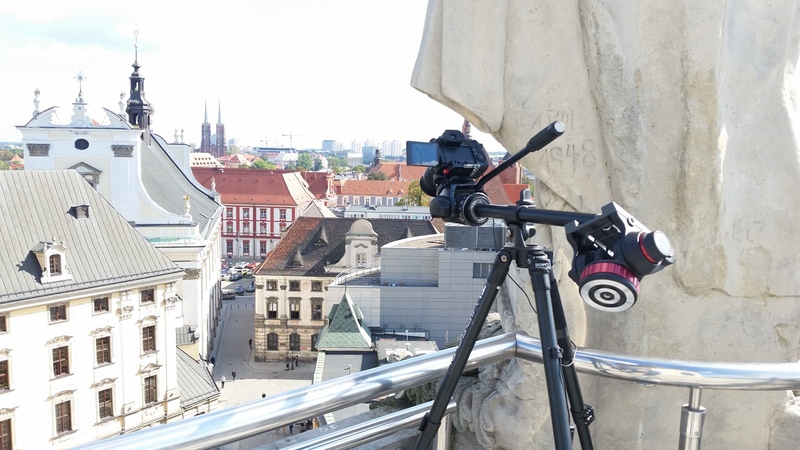 For most timelapses I used Sigma 10-20mm. Terrific. Also thanks for the explanations. Super robota. 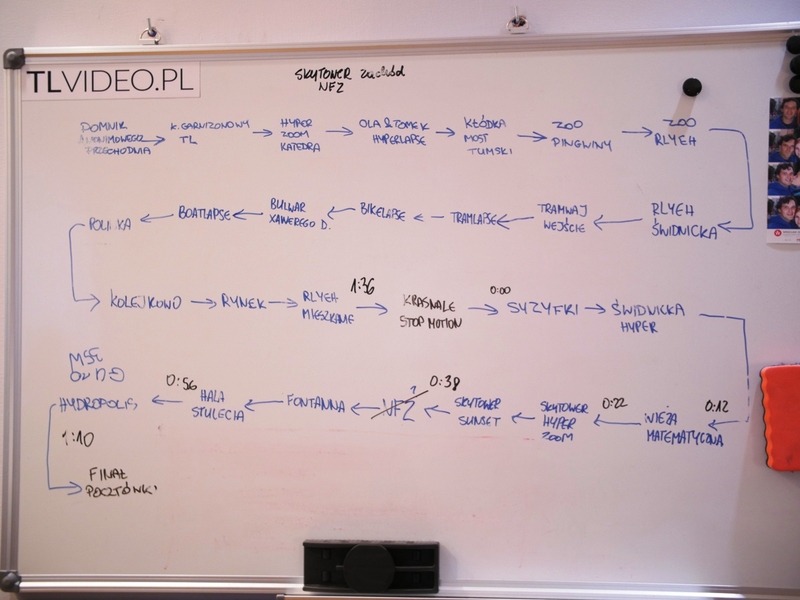 Mieszkam we Wrocławiu od urodzenia, znam wszystkie miejsca które ukazałeś w filmie, ale przyjemność jaką miałem z oglądania tego profesjonalnie zmontowanego materiału była ogromna. Przez przypadek trafiłem na film, a wciągnął mnie w całości – dowód na to, że stworzyłeś coś wyjątkowego. I have a question on the zooming part. 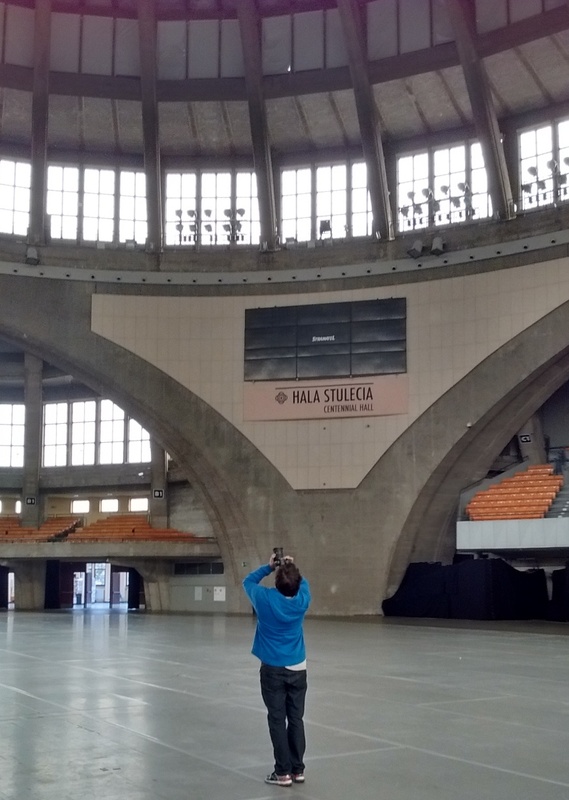 Do you have to pick a reference point like a hyperlapse on every frame? And do you have a guide on your lens when zooming? I used reference point for zooming 😉 I’ll probably make a full tutorial on this topic in a few weeks. Thank you Tomas. I appreciate the effort and hard work on sharing these information.